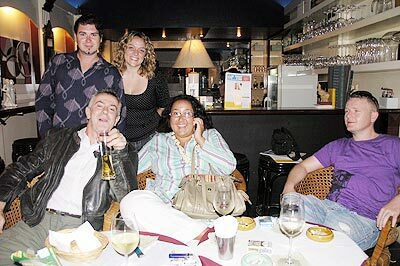 A “Welcome Back” for Pim at The Darling Wine Bar - Troix and Kelty standing, Alex, Pim and James seated. 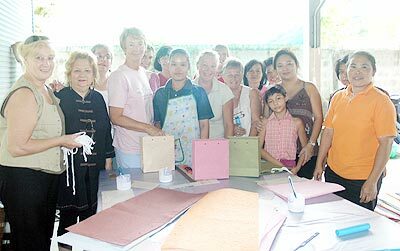 The ‘Bag Ladies’ of Chiang Mai, making bags at HQ to distribute (filled with goodies) to guests at the Fashion Show on August 27. The Oasis Spa management recently hosted a farewell dinner at the Amari Rincome Hotel in honour of Junnapong Saranak, outgoing TAT Director. 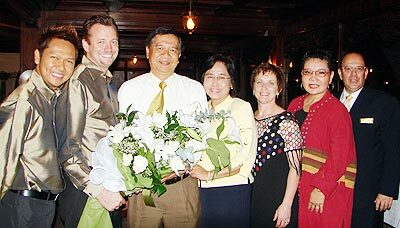 Pictured are Pakin Ployphicha, Toby Allen, Junnapong & Rungnapa Saranak, Yvone Hesketh, Earth Saiswang and Wim Fagel (l/r). The Shangri-La Hotel holds a weekly draw every Saturday evening. 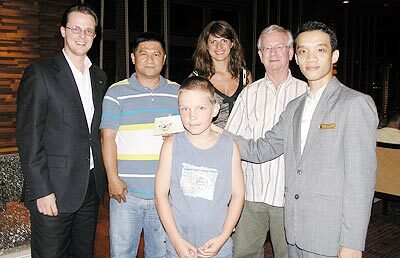 Pictured is Apeechai (2nd left), the winner of the July 12 draw for a night for 2 in a premier room including breakfast. 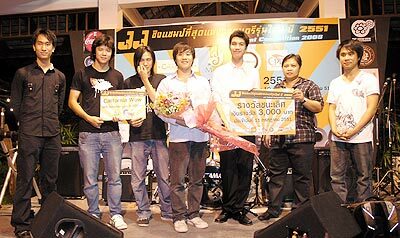 The band ‘Rendez Vous’ were July winners of the JJ Talent Competition and go forward to the final on December 4. 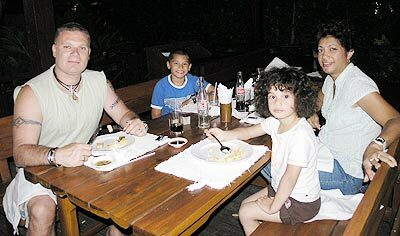 Enjoying a family treat at the Imperial Mae Ping Beer Garden succulent buffet were Marcel, Eric, Celeste and Claudine (l/r). 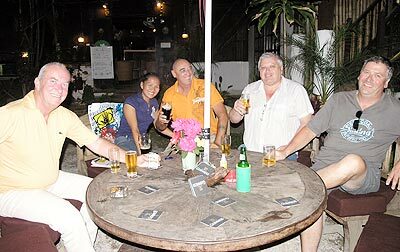 Pictured are Colin, Jai, Barry, Grahame and Richard (l/r), proving that smoking is allowed in the Garden Bar at The Pub.